tofu stir fry | what is clara eating today? heat up 1T of canola oil and stir fry tofu. set aside. 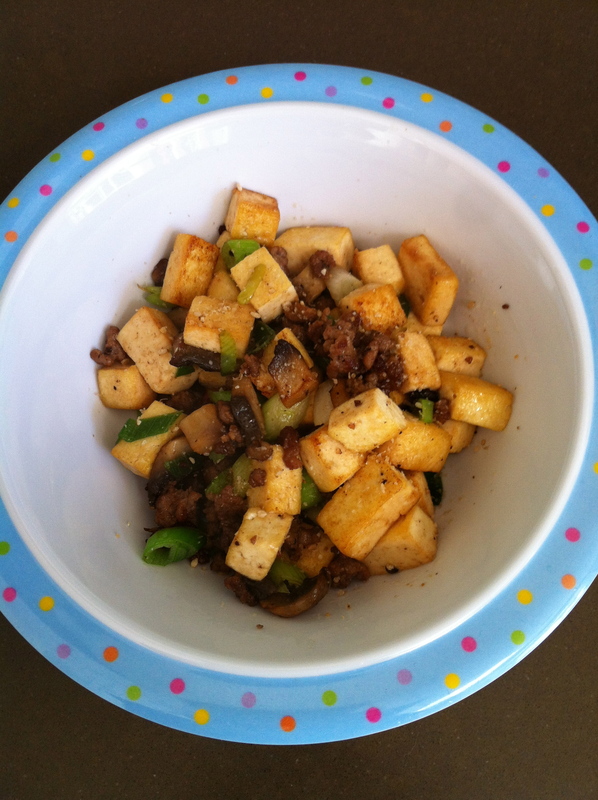 heat up 1T of canola oil and stir fry beef lightly season with salt & pepper. set aside. heat up 1T of canola oil and stir fry saute mushroom. add tofu and beef. add green onion, soy sauce, sesame seed, sesame oil and stir for a moment until well combined. 1-2 minutes.